Providing a significant increase in available orientation and lunchroom space for visiting school groups. Expanding available educational space for field trips, summer camps, and other educational programs. Showcasing large (7,500 to 10,000 sq. ft.) traveling technology or freshwater exhibits. Offering opportunities to host special events, programs, conferences, and weddings year-round on Milwaukee’s beautiful lakefront. The lead contribution that launched this critically important journey was provided through a generous gift by the Reiman Family Foundation, and we are grateful for their support. 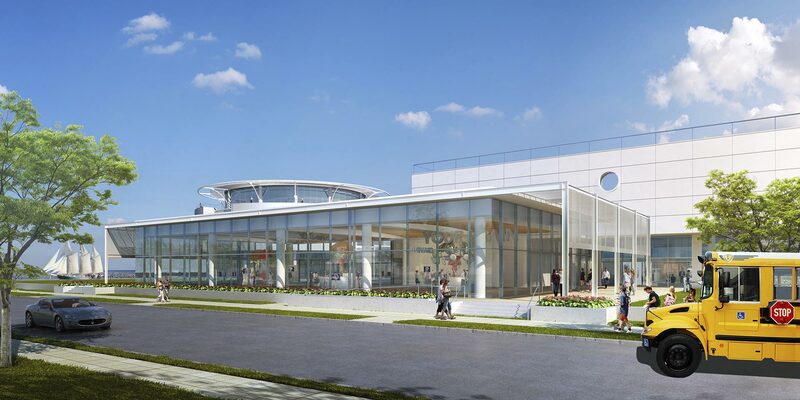 Construction of a new Admissions area and grand entrance to the Discovery World Technology Building. Transformation of the former Lubar Innovation Theater into a new exhibit gallery with floor to ceiling windows and a stunning new connection to the neighborhood outside the facility. Creation of the 5,000 sq. ft. “Power On” Exhibit sponsored by the We Energies Foundation which will fill the newly constructed exhibit space on the first floor. Construction of an expanded Gift Shop operated by The Learning Shop. Enhanced accessibility features, including a special needs restroom, and enhanced connections to ensure an efficient and coherent visitor experience. Relocation of the entire Discovery World Staff to a single floor in the facility to improve coordination and connections among the entire team. Creation of 5,000 sq. ft. of public space on the mezzanine level that formerly housed staff. After a year of short-term exhibits, a permanent exhibit will fill this space at the end of 2019 or early 2020. 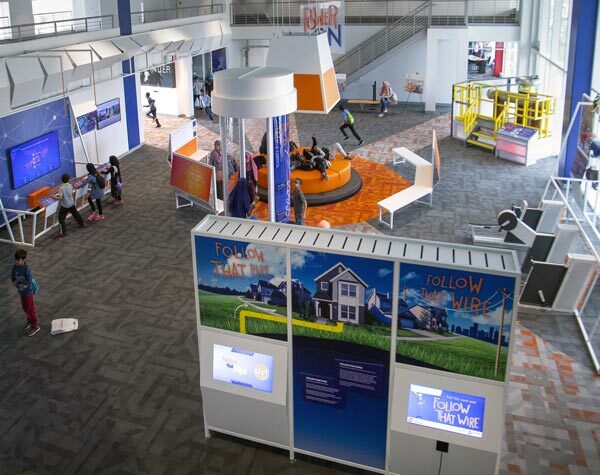 The next major enhancement at Discovery World will be a permanent health and medical exhibit that focuses on individual health and future career opportunities in medicine and health care in Wisconsin and elsewhere. The 5,000 sq. ft. exhibit called “MindBodyMe” is expected to open in late 2019 or early 2020. To explore concepts related to the exhibit, please click the following link: MindBodyMe Schematic. This cost for this portion of the campaign will be $3.5 million, and Discovery World has currently generated support of approximately $1 million. An aggressive effort is underway to secure the necessary remaining pledges to ensure that the installation can take place late in 2019 or early 2020. With the completion of the permanent Health Exhibit, Discovery World will turn its attention to the freshwater exhibits with the intention to invest $8 – $10 million in new educational exhibits and programs between 2021 and 2023. Fundraising for this additional work will commence in 2019. These investments in Discovery World are and will be funded through private contributions from individuals, corporations, and foundations. The lead gift for the project funding was provided by the Reiman Family Foundation; that gift and other commitments have enabled completion of the first two phases. More than $12 million has been invested in the facility and its educational programs to date in the campaign. The expectation is that a similar amount will be invested in the next phases of the work, bringing the eventual investment to $23 – $25 million. The development work to ensure these plans continue to become reality is ongoing, and Discovery World welcomes any inquiries about participating in this capital campaign and partnering in ways that can make our community stronger and better. Working together, we can inspire, prepare and motivate young people to see and create a brighter future for them and for the entire region.